Welcome to Episode 69 of the Final Surge Podcast where we welcome world record holder Camille Herron. In 2017 Camille won Comrades, set two American Records and two World Records. Camille has had an interesting journey which has been riddled by injuries and we discuss how she has overcome those and what she has learned to make herself a stronger runner. We also talk about her secret weapon in an ultra race, beer. Camille was great to talk to and I hope you enjoy this episode as much as I did recording it. We are now on Spotify so please remember to subscribe to the podcast on iTunes, Google Play or Spotify, wherever you consume it. In recent weeks Camille has set a 100-mile world record 12:42:39, a 100km USA track record of 7:36:39 at Desert Solstice and then went on to run for 12 hours and set a 12 hour All-Surface World Record 92.708 miles. She is the new Ann Trason and arguably, she will be in for a shout as ultra-runner of the year. What exactly did your running look like after Tulsa? How do you go from always injured to running 70 miles a week? Where was your minimalist running in relation to Born To Run? 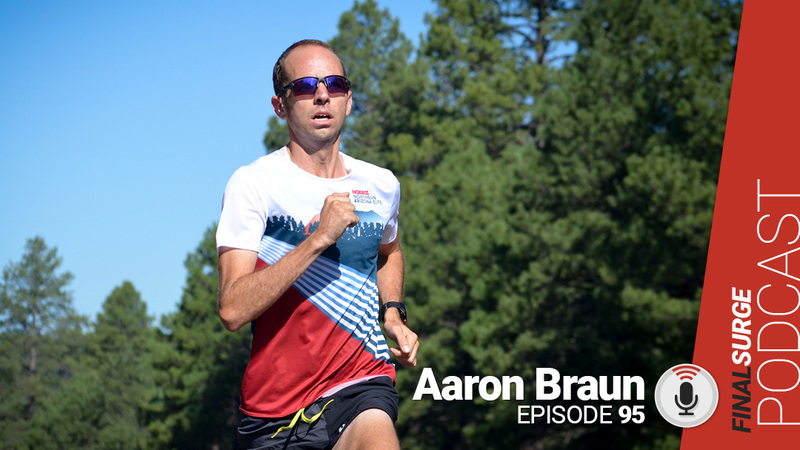 Moved to minimalist running and your husband is coaching you, where did you jump back into competitive running? When did you make the jump into ultramarathons? When you talk back-to-back marathons how often are you talking? We see injury problems from growth spurts, which you had. You also studied bone recovery. What advice would you have now for those struggling? When did you do the first ultra? You had done marathons, you understand the wall. So what was the first ultra like, was it like you expected or different? What about fueling during a race? You have a beer during a race? We are at the end of 2017, can you walk us through what a year looks like for you as a competitive ultrarunner? Did at least 8 races this year, a marathoner may do 2-3 races a year. How do you recover so quickly? I saw you earlier this month at Desert Solstice. We went to see Zach Bitter, but he was out. We saw what you were going after. After 11.5 hours of running on the track in a 1/4 mile circle, you still seemed to be smiling so much. Broke Ann Trasons 12-hour record which has stood since 1991? What was the hardest part of running for 12-hours on a track? How hard is it to get going again after you have to stop to use a restroom or something? You had two World Records this year, now what for an encore in 2018? You are very active online, where can people find you?